When we look around we see a lot of pain and suﬀering. Often we are the ones who are actively experiencing it. We are wondering, where God is in all of this? Why does He not do something or take away this darkness? Why does He not make everything good once again? Most often people conclude that therefore God can simply not exist. How could He? But not everything is as it seems. God, Christian God, the Creator of all things, is not always as He seems. And much less is human being, whom He created, what we normally think a human is. When God created us, He had made us free, free to choose. And so we did and do. All those decisions we make cause consequences, they aﬀect the world and everything around us. This made me think about good and evil. Are they really dualistic abstractions, or is there something else at work behind it all? Is it possible that even good and evil are not what they seem? These are the questions I have pondered on and the result thereof is this paper and two artworks that accompany each other. I chose Composited photographic artwork to convey my message. 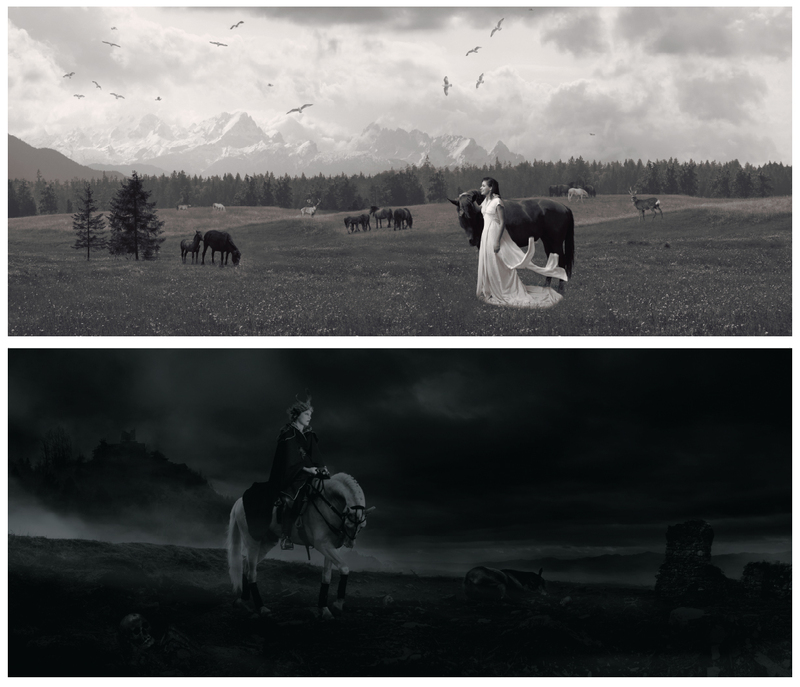 Two composites were made, both showing consequences and ideas about humanity, about good and evil. From contrast between the two in lightness, to all the other elements, everything was put there for a reason, which I will also analyze and interpret. The work is not only theoretically interesting. It is also interesting in its practicality. As carefully as have all the visual elements been chosen, so important and practical have the eﬀects and attire been. These were not simply bought, but crafted for their intended purposes, which has also been documented.